Perspective. Did you feel like the caterpillar today? Were you crawling along over dirt facing one obstacle after another (leaves and twigs?) not aware of the sky above and all the beauty around. 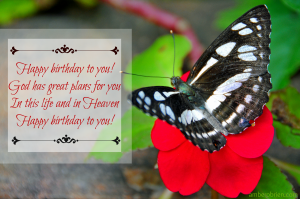 Have you thought of Death being a birthday into eternal life? A beginning of a life in a home with no sin, no tears, no sickness, no grieving, no pain and suffering. A beginning of a life in a home filled with Jesus: who is Love and beauty and light beyond our imagination. The labor of earth ending as the cocoon of our bodies fail and our souls soar. Perspective. Stop looking at the twigs in front of you and look up. Turn. Turn your eyes on the one who conquered death and broke free from the three day cocoon of the grave.